Karate Terminology Our application will allow you to select the English or Japanese word, then you will see the translated Japanese or English version. You can select a random term by shaking the phone or selecting the "Choose for Me" button. You can even filter on the type of terms you would like to see. Over 80 terms included in version 1.6 Want to learn the Japanese terms the instructors are using during your Karate classes? Have kids that are in Karate and want to excel? key part to the Martial rts experience is knowing and understanding the culture and language. This is a great learning tool on both your iPhone and iPod Touch. Try it today!!! Keywords Japanese, Karate, Kickboxing, Kick Boxing, Terminology, Martial rts, Martial rt, Self Defense, SelfDefense, Translation, Translator. 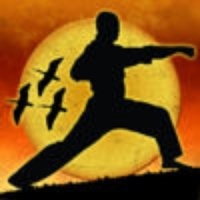 Check these links to find your download for Karate Terms for & iOS or for your device iPod TouchiPadiPhone. The app Karate Terms is compatible with te following devices.